Asenlix (UPDATED 2019)– Does This Product Really Work? Asenlix – Does This Product Really Work? Asenlix is an allegedly powerful weight loss supplement comprised solely of the ingredient Clobenzorex. 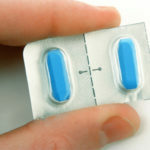 While typically classified as a phenethylamine or as an amphetamine, it seems to be agreed by many health and weight loss experts that Clobenzorex is less potent enough to simply be classified as an anorectic, or appetite suppressant. Asenlix’s appetite suppressing abilities are suggested to be quite impressive, at least enough to make Clobenorex the appetite suppressant of choice for athletes in the 1970s. However, the ingredient has since been banned due to its tendency to result in dangerous side effects. Today, Asenlix is not available in the United States and must be purchased online from Mexico. While Asenlix may not be the easiest supplement to get your hands on, important questions remain. Can Asenlix actually help you lose weight? Is use of this supplement even safe? Let’s take a closer look at Asenlix and see if we can discover any of the answers to these important questions. 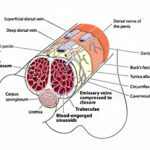 Asenlix, or rather its generic form Clobenzorex, has a history of being produced by multiple supplement companies over the years, sometimes under different names, including Dinintel, Rexigen and Finedal. While Clobenzorex initially gained popularity in the 1970s as the appetite suppressant of choice for athletes, today the supplement is unavailable in the United States and can only be obtained through sources such as online Mexican pharmacies. As you can imagine, this process is not the most convenient way of obtaining a supplement; it’s actually reportedly difficult to get a supplement such as this passed United States customs. 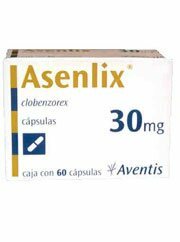 Asenlix comes in the form of either a pill or tablet, to be taken no more than four times a day. Unfortunately, because information about Asenlix is relatively scarce, there seems to be no indication of what kind of adverse effects may possibly result from irresponsible use such as this. Asenlix is designed to simultaneously boost your energy and suppress your appetite. The intended effect is to help you eat less while compensating for a reduced diet with extra energy that your body needs to keep going. Due to its popularity in the 1970s, it actually seems safe to assume that Asenlix may indeed be capable of suppressing your appetite. Of course, it’s very unlikely that you will lose a significant amount of weight merely by taking an appetite suppressant. You will most likely need to commit to a healthy lifestyle of diet and exercise if you wish to see any results while using Asenlix. Asenlix contains only one ingredient, a stimulant known as Clobenzorex, which is allegedly capable of suppressing your appetite and helping you eat less, while providing you with boosts of energy and adrenaline so that you don’t feel the effects of having consumed less food than you’re used to. The reason behind Asenlix’s ban from the United States is apparently the supplement’s tendency to result in pulmonary hypertension. 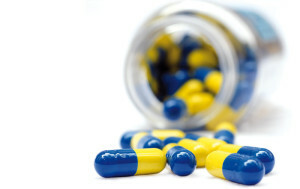 Use of Asenlix may result in more minor side effects such as nausea, headaches, anxiety and insomnia as well. The history behind this supplement’s key ingredient suggests that Asenlix is actually capable of effectively suppressing the user’s appetite. While Asenlix may be capable of reducing your appetite, this will not result in the elimination of body fat you have already accumulated. Due to Asenlix’s unavailability in the United States, it’s relatively difficult to obtain. This also means that you will probably have to resort to purchasing the product from online distributors who may possibly be untrustworthy or unreliable. Asenlix is a form of the appetite-suppressing ingredient Clobenzorex, which was popular among athletes in the 1970s. However, it has since been banned from the United States after use of the supplement was found to result in pulmonary hypertension. 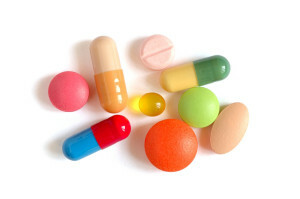 Today, the supplement can only be purchased online from Mexico, although Asenlix and Clobenzorex remain illegal in the United States, even if you were to obtain a Mexican prescription for the supplement. While Asenlix may be an effective appetite suppressor, such a supplement will not help you lose the weight your body as already accumulated. Even if it could, Asenlix as become notoriously difficult to obtain and even possession of the supplement seems to be illegal in the United States. Luckily, you should be able to find a different, easily obtainable, legal and safer weight loss product that is just as, if not more effective than Asenlix.